Data presented is based on a 2006 survey completed by 104 health conversion foundations, and is a follow-up to the 2005 report, "The Business of Giving." Topics addressed include foundation structure and governance, community engagement, and succession planning. 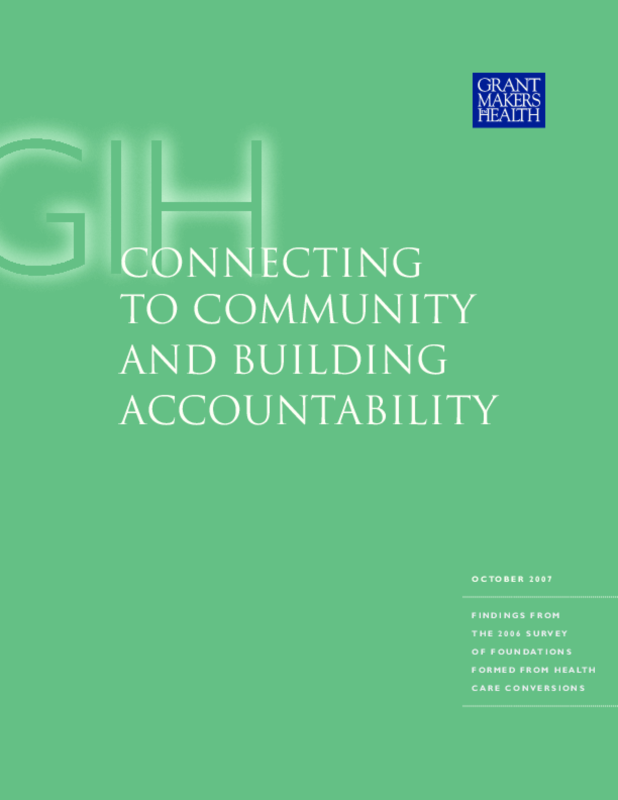 The appendix contains brief profiles of health conversion foundations identified by Grantmakers in Health. Copyright 2007 Grantmakers In Health. All materials in this report are protected by U.S. copyright law. Permission from Grantmakers In Health is required to redistribute this information, either in print or electronically.